The decision to get married abroad is one many couples rush into with the belief that it is the most ideal way to celebrate their special day. There is no doubt that getting married abroad, specifically Spain, is fantastic and will make your special day a memorable one. 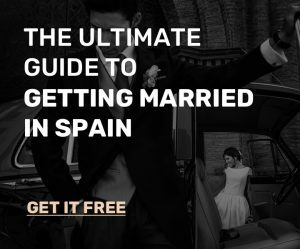 Nevertheless, there are many questions you need to ask yourselves before deciding to get married in Spain. 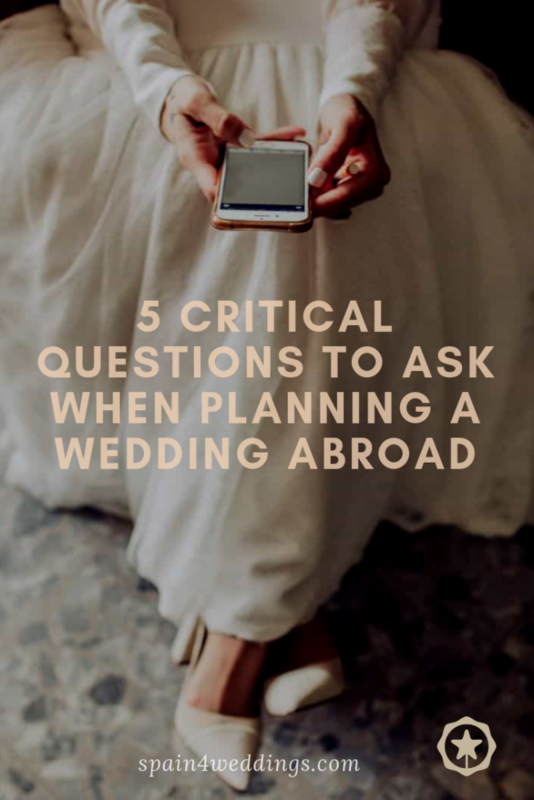 In this article, we are going to dwell on some of these critical questions you need to ask before planning a wedding abroad. 1. Will the Weather Suit Both You and Your Guests? The first thing you should always consider is the weather pattern of the area. Different countries have different weather patterns. Spain is no different. Like in all other places, the weather in all the cities in Spain vary. Barcelona has a different weather from Malaga. The weather in Madrid is definitely different from that in Valencia. Therefore, it is imperative that you inquire about the weather pattern of the city in which you want to get marry in and prepare accordingly. 2. 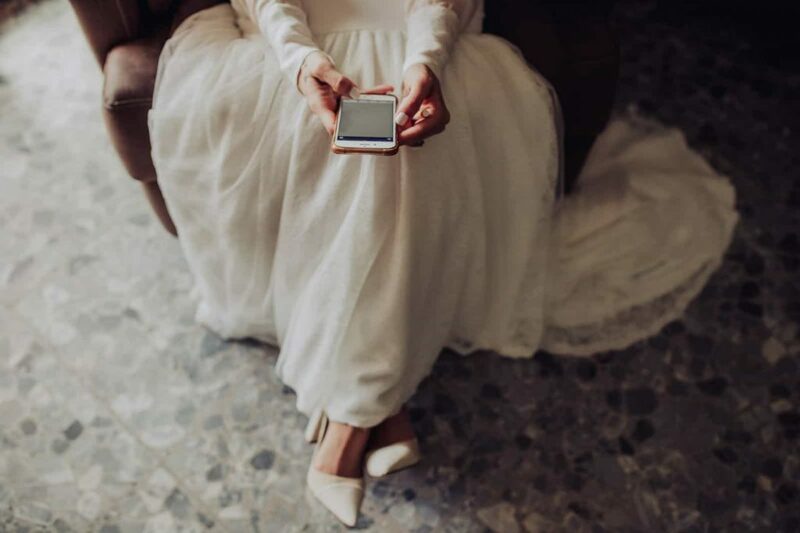 How Far in Advance Should You Start Making Plans for Your Wedding? i.e. Secure the ideal travel rates to Spain for you and your guests, book the ideal venue well ahead of time and so on and so forth. Those who do not have time on their side shouldn’t be worried as there are also cases where weddings planned just a few days or weeks to the special day have successfully taken place. Nevertheless, we advise that you give yourself enough time to make sure your day is one of a kind. 3. Is the Local Cuisine What You Are Looking for? You need to be clear on the local cuisine in Spain before picking a venue. Will your guest like the Esqueixada de bacallà, Arròs negre or the Fideuà in Barcelona; will they enjoy Ibiza’s Sofrit Pagés, Balearic sausages sobrassada and botifarra, and Arròs de Matança? 4. Should I Hire a Wedding Planner? You probably don’t know this but this will be one of the best decisions you have ever taken in your life. Wedding planners are very essential to the success of any wedding because of the valuable experience they bring to the table. Wedding planners in Spain will help you plan the perfect wedding because they have a portfolio of successful weddings and have attended failed weddings too. They know exactly what you have to do and will guide you in all your decisions ensuring your special day is a blast. 5. Do You Need to Visit the Venue Beforehand? Who gets married somewhere he/she has never been too? No one does that nowadays. It is of utmost importance that you visit the venue where your special day is slated to take place and check whether it fits your requirements. This will help avoid embarrassment on your wedding day. Getting married abroad specifically in Spain is amazing but there is no rush to get married in this gorgeous country. There are several other questions you have to ask yourself before planning such a wedding in addition to the above which we think are the most important. Take your time and plan your wedding because this day will turn out to be one of the most important days in your life.